Private health insurance offers great value for money when it comes to dental care. 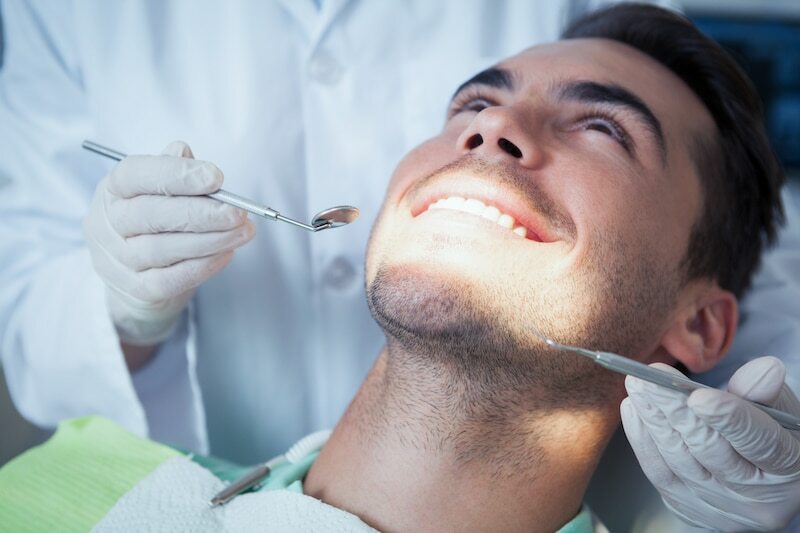 There are plenty of options available with healthy rebates, but it can be hard to find a professional dentist from those choices that you can trust. Your dental health is important, and you shouldn’t hand it over to just anyone. This is why going with a private clinic may be a smarter choice for you and your family. Dhealth dental clinic is lead by Dr Anna and Dr Stefan Danylak, with over 30 years of dental experience offering the most modern, effective and long-lasting treatments to his patients. Our unique holistic approach considers your overall health, lifestyle and finances to give you a service that will always leave a smile on your face. Most importantly, we are also Medibank Private dental providers. Cosmetic Dentistry: dhealth is equipped with the latest dental technology to bring your best smile to life. Your smile is deeply connected to your confidence and greatly affects your quality of life, which is why we see cosmetic dentistry as a health treatment. General Dentistry: We are the perfect choice for all dental visits, from regular checkups through to complex procedures. With 30 years of experience we know exactly what it takes to offer a range of services with a personal touch. Orthodontics: We are specialists at identifying the source of jaw and mouth pain, and providing treatment plans that repair and help you recover from misaligned jaws, abnormal bits, overcrowding problems and more. Gum Disease Treatment: Our clinic offers superior treatment to relieve the pain from gum disease and protect your mouth from further issues like peritonitis. Your dental health, your way: We always keep you informed about the best treatments and products to suit your situation. You are in control of your dental health every step of the way, and know you’re receiving the best advice that you can trust. Cutting-edge technology: dhealth clinic is equipped with modern technology to bring you the most effective and long-lasting treatments available in the world today. We offer no film x-rays, use high strength ceramics and offer advanced lasers for even faster and more comfortable dental procedures. Central location: We believe everyone should have access to professional and modern dental care, which is why our Camberwell clinic is located close to public transport, shopping and public parking. Affordable dental health: We understand that the best treatment is one that brings a smile to your face as well as fits your budget. Dr Anna and Dr Stefan Danylak and the team take into consideration your finances as well as your situation to recommend procedures that will give you the best results and value for money.